MYOB’s attempted purchase of Reckon APS at the beginning of this year – and its knockdown by the regulator – unearthed some pretty frank statements about the technology roadmaps for the two software companies. Reckon’s main explanation as to why the combined entity wouldn’t be anti-competitive was that it was so far behind on its cloud strategy and couldn’t afford the investment required to catch up. Reckon has since reversed that position and says it is going full steam ahead. But the moment of candour has drawn the first major competitor to Australia (and it may not be the last). GreatSoft is a cloud practice management suite born in South Africa from the original Sol6 software. Unlike Sol6, which has evolved into MYOB Accountants Enterprise in Australia, GreatSoft is 100% in the cloud. It is used by many large accounting firms, including three of the Big Four in South Africa. GreatSoft has made a soft landing in Australia – targeting the MYOB and Reckon APS firms that were alarmed by the statements and reversals in the past 12 months. It has made contact with all the major accounting software companies and is busily connecting to popular practice management and tax compliance tools in Australia. Worryingly for Reckon, the Australian managing director is one of the founders of APS and former manager of Reckon’s own accounting division, Brian Armstrong. In his first interview as managing director for GreatSoft Australia, Armstrong reveals his plans for taking on Reckon and MYOB on home ground. Digital First: So who is Brian Armstrong? Armstrong: I was originally the owner and operator of Sol6 in South Africa. I then ran Sol6 Europe with Brian Coventry, then ran international operations from Australia. I then broke away and was one of the four founders of APS in 1997 and was CEO until its sale to Reckon in 2004. I ran Reckon’s accounting division until 2011. Since then I have been doing business consulting and in the last couple of years working with GreatSoft on their international plans. Digital First: What is your relationship with Reckon these days? Armstrong: Since leaving Reckon I have had nothing to do with them in anyway. Armstrong: No real reason. My time was up and it was the end of the road. They had never engaged with me in any way and I had no need to engage with them. Digital First: What’s your relationship with GreatSoft? Armstrong: The guys at GreatSoft I’ve known for 25 years or more. Bruce (Morgan, CEO) and Imtiaz (Lorgat, CTO) were part of Sol6 operation, they ran Cape Town. We did a back-to-back deal and Bruce and Imtiaz bought it out from me. Digital First: Why are you getting back into the software game? Armstrong: That’s a very good question. When I got out of it (and left Reckon) I said, ‘That’s me done’. I’ve been doing it all my life. There is a great opportunity and we’re aware of the challenges of coming to the market. But as we look at more recent times and the announcements of MYOB and Reckon that they don’t have a cloud solution at this time… We feel that the timing is right. We have talked to cloud (accounting software) providers and have been really surprised about how many are keen to work with us, in compliance and productivity tools. They have difficulty integrating with the legacy suites of APS and MYOB and they are locked out of that world. They see it as a great opportunity for themselves and we see it as a great solution for accounting firms that is really advanced and gives some freedom of choice with what they use. The closed world is a thing of the past. Digital First: Practice management is a tough game with bigger firms. Glacial sales cycles, complex deliveries. Are you up for it? Armstrong: It’s a sweet spot for GreatSoft. It is a more difficult delivery model, with more intensive support and reporting requirements. The company has had a lot of experience there. We have had a lot of people who have worked in multi-partner, multi-office and multi-service lines. The timing is really a combination of three things – the product is there now and the openness of other providers to work with us and the fact that we think the incumbents are a fair way off bringing something to the market. And I saw that as an opportunity to help the guys with their expansion plans. Digital First: What are the expansion plans? What are you thinking? Armstrong: We had a stand at the Accounting Business Expo (before we started selling here) because we wanted to gauge interest. I guess I wanted to know how many firms were open to exploring the idea. We had a lot of interactions with a number of firms and it gave us encouragement that they want to find a viable replacement. GreatSoft is not APS in the cloud – there are differences, but there are also similarities. It is scalable, it has been designed for larger firms, and that feedback has been great to get from the firms. We have been talking to a lot of firms about integrations and doing some proofs of concept and looking at database conversions. We have done it with APS and MYOB clients. That’s been quite a win for firms to see that yes, it can be done. Digital First: So what happens next? Armstrong: Now we have to get those integrations completed as soon as we possibly can. That’s going to take real effort in the next couple of months. We want to see the applications working and single client showing all the data from disparate systems. We have legs on the ground – a business development guy Daniel Fourie and Imtiaz is here talking to firms. We are just visiting firms and talking them through what we can do and a lot of them are really interested and saying, ‘Show us what you’ve got’. Digital First: Which integrations do you have and which are you working on? Armstrong: There are so many – superannuation, tax, compliance, document management, and accounting applications. We are probably working with at least 8. Armstrong: It is complex at the moment. We have concluded business discussions with all the vendors we need integrations with. [Updated with comments from Imtius Lograt, GreatSoft CTO: Some integrations have started – BGL, NowInfinity. Nimbus has completed and iManage has started. Xero is agreed but not started yet. There are a host of others – payment providers, debtor management (QuickFee, FeeSynergy, Apxium) – at the moment my priorities are determined by the firms we are in engagements with. Digital First: Which integrations do you have with accounting software? Armstrong: Xero is a key one for us from a tax perspective. We are looking to deepen that partnership – they have a similar strategy with a connected practice and integration points with other providers. We are exactly the same (in philosophy) in the practice management space. Digital First: Do you have your first customer in Australia? I heard you were close with one firm. Armstrong: No, we haven’t signed them. We have done a proof-of-concept and a database conversion. We want to go about this in a slow, conservative way and not get ahead of ourselves. These integrations are a key piece for most of these firms. They say, ‘We hear you, show us’. That’s why we need to do the work. Digital First: You mentioned a single view of the client? How does that work in South Africa? Armstrong: We want to give the experience that when you view the client you’re getting a full view of all the information associated with the client. Not just practice management but tax, company secretarial information, superannuation, accounting – all that needs to be available and rendered in the client view. 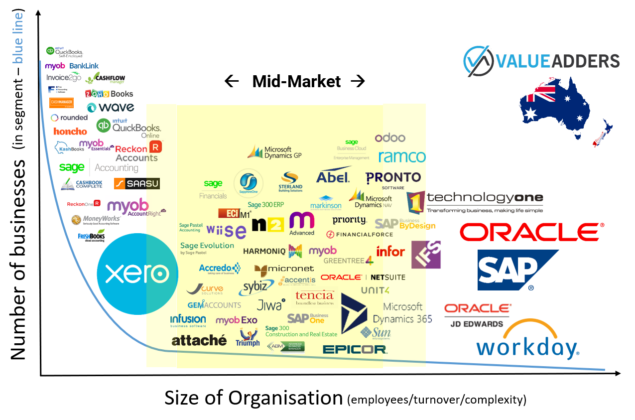 In South Africa that’s what exists because all those applications are managed and owned by GreatSoft. There’s a lot of merit in an integrated strategy and it’s one I personally think that if you have an integrated view of the client there’s a significant benefit. But that’s contingent on all those applications being state of the art. If you’re in the situation where they are falling behind, you will have integration (with a suite approach) but not the best applications for each function. Instead of trying to develop each of those themselves we are selecting the best in class. You would go into the client console and see all the data from disparate applications and databases. That gets more complicated as you go across multiple offices. Digital First: What state is the API? Have heard that it’s not where it needs to be? Armstrong: With one of the (software) providers the developers worked together for a couple of days and got it completed. It comes down to which providers are open and willing to work with us. There are different levels of API and integration. And giving these guys surety that we are working with them and not sharing data. There seems to be a lot of distrust about sharing data or knowhow and using it elsewhere. You do need to be open and transparent with all the providers and the data flows that you need, and that’s only in the relationship with that provider and not with everyone else. And so we’re very respectful of that and the NDAs that we have in place. We are making very, very fast progress – I’ve been surprised at the pace of progress today. I didn’t think we would get this far in this amount of time. Armstrong: Our strategy around this open platform is the key for us. We have to maintain that open stance and I think that really is important for these firms that they have this freedom of choice that they have been lacking for some time now. I believe that we can move quickly on that and it does give us an opportunity. Developing cloud solutions is not insignificant and particularly when you’ve got a broad base of apps to move forward. We need to take advantage of that when it’s available. I do know it’ takes a lot longer than some of the timelines that I’ve heard. Digital First: What functions does GreatSoft cover? Armstrong: We cover the full gambit from time billing, time capture, expense capture, workflow, business process automation, and business intelligence reporting (on time, fees and billing). Everything that’s required to run the practice from an internal management perspective. Digital First: Why would you not build a suite in Australia like you did in South Africa? Armstrong: It largely comes down to the extent of the relationships with other providers and making sure that the integrations are seamless and elegant. If they are clunky people won’t want to go there. If you have these strong relationships then you are best in class. It doesn’t make sense to make a tax app unless you’re forced to go down that path. Digital First: I know you do a lot with large firms, but what is the smallest firm in South Africa using GreatSoft? Armstrong: In South Africa they have sole practitioners using it. But the more relevant example would be three of the Big Four are using it for practice management and for other modules as well. A lot of the second tier firms are using it too. Digital First: How much will it cost? Armstrong: For the practice management suite it’s going to be in the order of $50 per month for practice management and $60 per user per month with the business intelligence tool for reporting. It is a lot less than the incumbents and I think we have to go in aggressively to start with and give early adopters some keen pricing initially. All up we are going to be competitive.